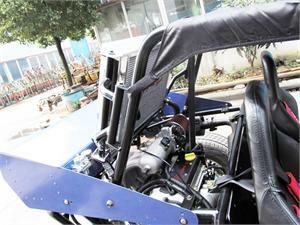 The engine is a Chery 1100cc 16 Valve Fuel Injected automotive engine with a manual 4-Speed Transmission. 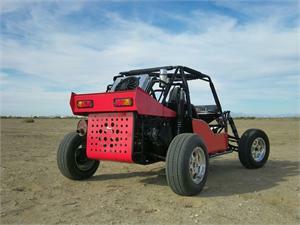 Chery Engines are featured in the Fiat 500 which sells for over $16,100. 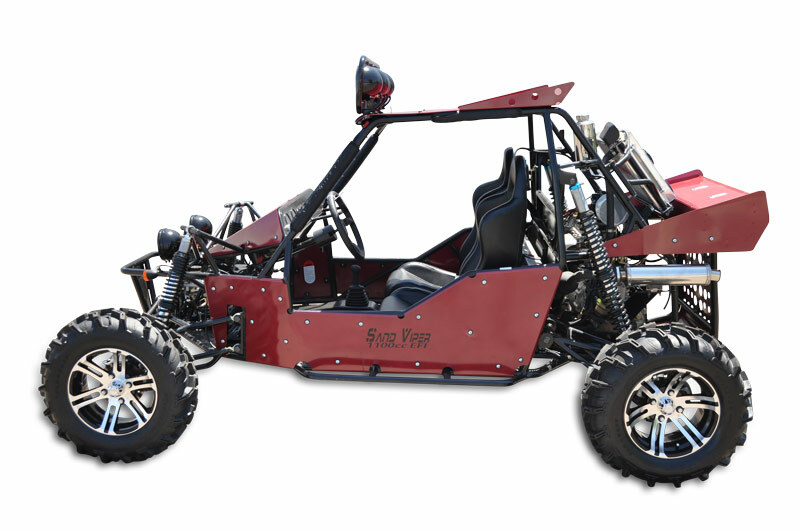 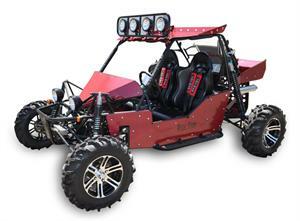 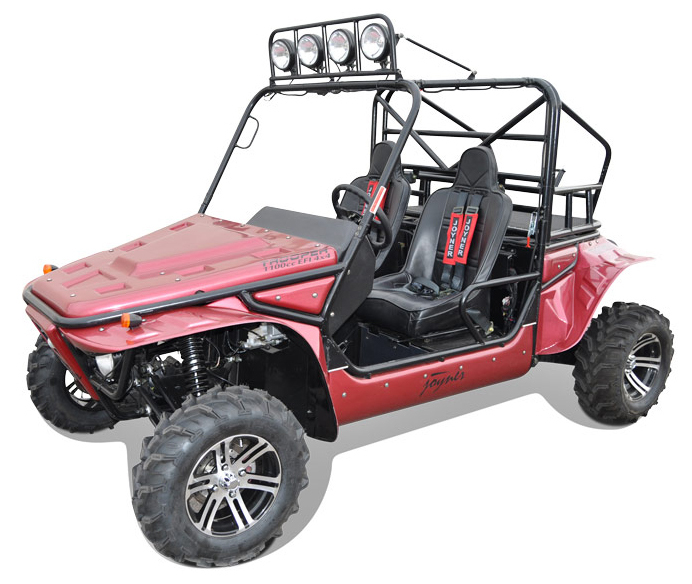 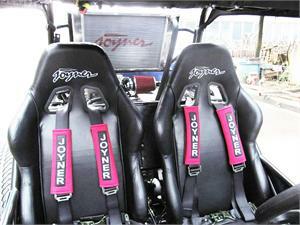 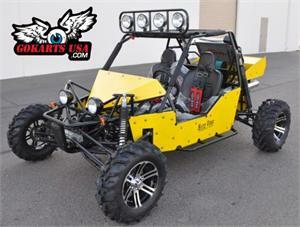 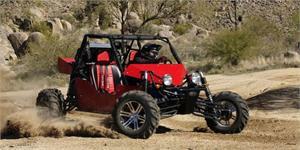 By comparison, the Polaris RZR* has an 800cc engine and starts at $19,999. 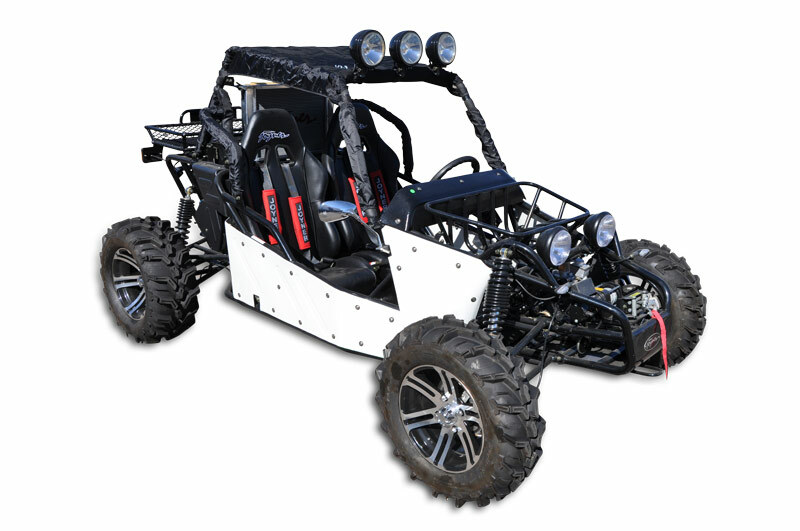 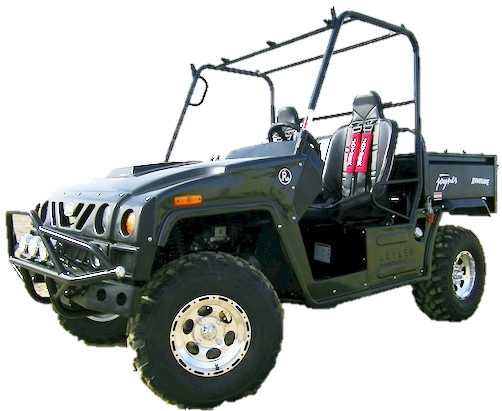 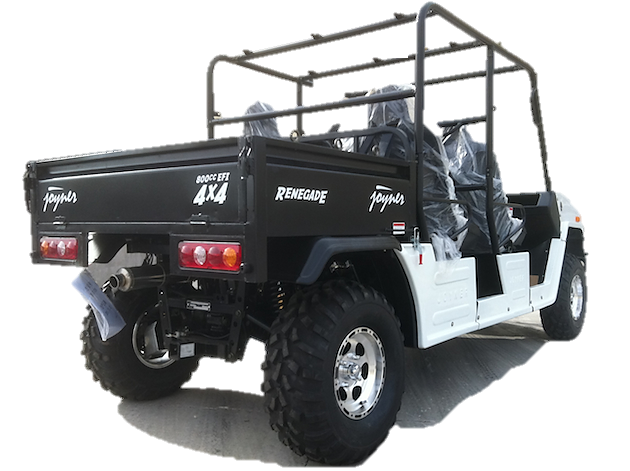 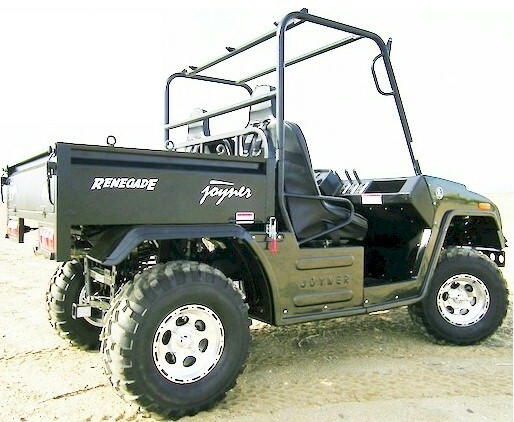 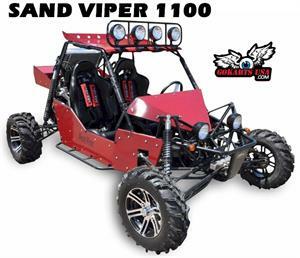 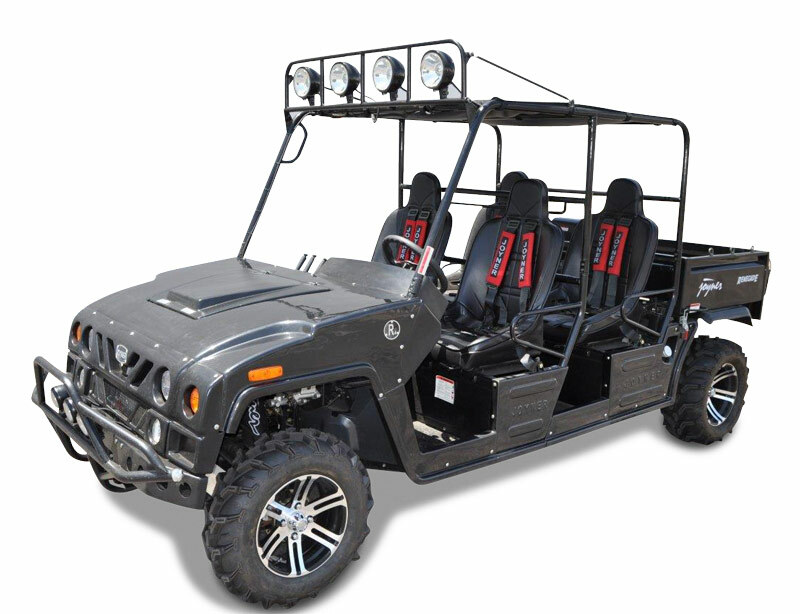 The Yamaha Rhino 686cc Utility Vehicle starts at $11,499 but the Sand Viper 1100 will run circles around it and is a hell of a lot more fun to drive. 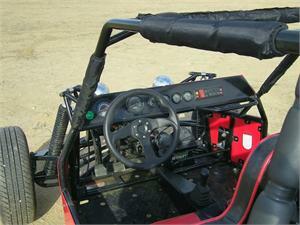 NOTE: Yamaha, Polaris and other trade-names shown above are trademarks of those companies and not GokartsUSA.